Huawei has introduced two new android smartphones with stunning specs, the Honor 3X and the Honor 3C in China. The Honor 3X comes with a 5.5 inch 720p HD display, which can be used with gloves as well. The ( 3 X) phone gains the strength from 1.7GHz 8-core CPU based on Mediatek Mt6592 Chipset and Mali 450 MP4 GPU. The company will launch these handsets in India by early 2014. 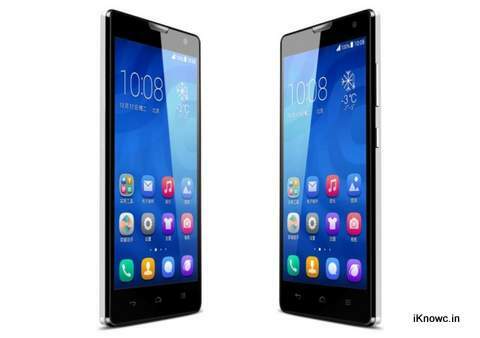 The Huawei Honoe 3x is priced at 1698 Chinese Yuan ( RS. 17500 in India). It is available in Black colors.